...The real writer is one who really writes. Work is its own cure. You have to like it better than being loved. 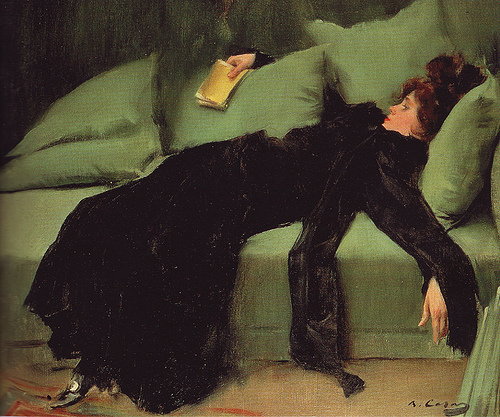 -- Marge Piercy, "For the young who want to"
Jove Decadent, 1899, by Ramon Casas i Carb�, 1866-1932. American Life in Poetry. Ted Kooser, US Poet Laureate 2004-06, selects a poem for this weekly newspaper and e-column. Milkweed Editions. Milkweed Editions is an award-winning, nonprofit literary publisher of high-quality books that places an emphasis on cultural diversity, environmental stewardship, exceptionally crafted poetry, and insightful literature for adults and children in the middle grades. Their E-Verse is one of the finest e-newsletters I've found. Poetry Previews. This site also offers monthly book discussion groups, journal reviews, and listings of grants/awards/calls for submissions. Poetry Daily. One of the best poetry sites with an expansive archive of well- and lesser-known poets selected daily from current books and journals. A great way to keep abreast of the poetry journal scene. Writers' Almanac. Garrison Keillor picks some fine poems for this daily. NEW! 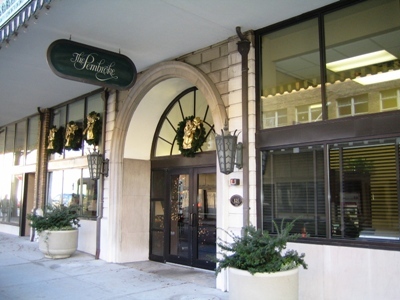 PHOTOGRAPHY -- a new page devoted to Knoxville's literary haunts. Pictures will be added as I'm inspired. 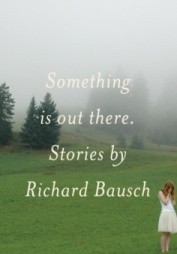 Richard Bausch, acclaimed novelist and short story writer and the current Visiting Writer in Residence in the University of Tennessee's Creative Writing Program, has a new collection of short stories, Something is Out There. The Knoxville Writers' Guild's eighth anthology, Outscape: Writings on Fences and Frontiers, a collection of short stories, essays, memoirs, poems and photographs in some way related to, using Blake's metaphor, expansion and contraction, will debut at a launch party on October 2 at the Laural Theater in Knoxville. 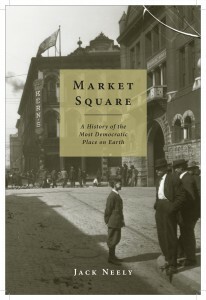 Jack Neely, Knoxville's local historian, has a new book on the colorful history of Market Square. Check out The American Booksellers Association Indie Next list of the "next best reads." Visit the IndieBound ABA website for this and indie bestsellers plus a form for nominating your own favorites. Subscribe to the free Washington Post Book Review newsletter. For lovely woman-reading products such as journals, calendars, post-, note- and greeting cards, visit Pomegranate Press', an online stationery store. Visit the Poetry Society of America to send free poetry e-postcards. For beautiful 19th and 20th Century art images (specializing in Pre-Raphaelite, Symbolism, and Art Nouveau) and free e-cards, visit ArtMagick , "your source for visual intoxification."